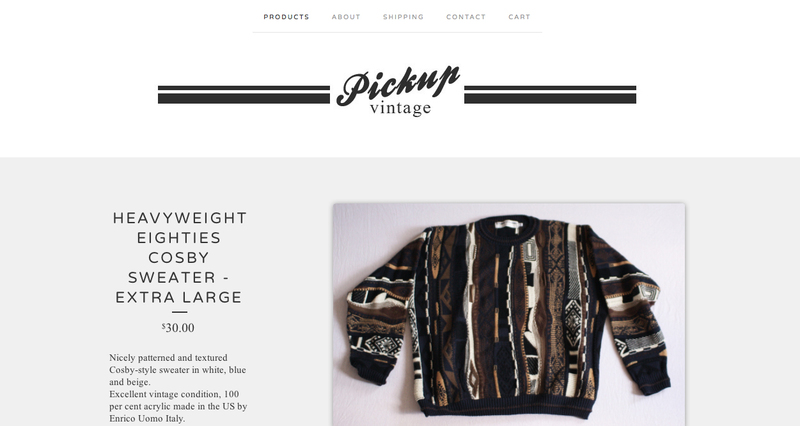 Pickup vintage is an online men’s vintage clothing store run by my sartorially-minded husband, James. Originally launched a couple of years ago and then put on hold due to all our moving around, the store has recently been re-stocked with a whole host of fine items and re-launched with a brand-spanking new big cartel store. Pickup’s collection is carefully curated and, James being a fabric snob, there’s a strong emphasis on items made from natural fibres. Currently Pickup vintage is only shipping within the US but send James an email to enquire about international shipping. 24 Nov	This entry was published on November 24, 2013 at 4:35 pm. It’s filed under give and tagged clothing, give, men, USA, vintage. Bookmark the permalink. Follow any comments here with the RSS feed for this post.